I tweeted (@stevepointing) this story yesterday describing how astronauts on the International Space Station (ISS) had tucked into their first ‘home grown’ salad in space. It was also the feature of my interview with Duncan Garner on yesterday’s Radio Live Drive show. The obvious joy at having something other than food from a foil pouch was clearly visible among Scott Kelly and his fellow astronauts – and one even quipped “it tasted like arugula” (arugula is known in NZ as rocket – pun fully intended!). Interestingly many news reports on this story have generally omitted to mention that the Russians have actually been eating their own space-grown veggies for some time and in 2002 reported eating mustard, peas and radishes grown in space. There is a science story here too – both in terms of insight to more fundamental aspects of plant science and also about what growing space veggies means for future space exploration. The ISS astronauts grew 44 red romaine lettuces in just 33 days, but because plants evolved on earth some adjustments were necessary to ensure they grew, and were not detrimental to the enclosed environment of the space station. Step one involved creating little ‘pillows’ of growing compost, nutrients and water into which a seed was placed – this was necessary because in microgravity the soil in an open pot would literally just float away! Despite being closer to the sun, the light regime in space is not ideal for plant growth, and so a panel of LED lights was used with red and blue to stimulate photosynthesis, and green to make the plants look appealing. The phototropic cues facing the space lettuces were therefore not too different from that on earth. What about the gravity? The plants were grown in microgravity but despite well-known geotropism responses in plants, the reduced gravity on the space station was not enough to significantly affect the growth of the lettuces, and in fact they look remarkably like ‘home grown’ lettuce from my garden. Half the crop will be returned to earth for further research and so it will be interesting to see what micro-scale changes may be detectable from this research. Looking forward to future food production in space, this is a serious endeavour. 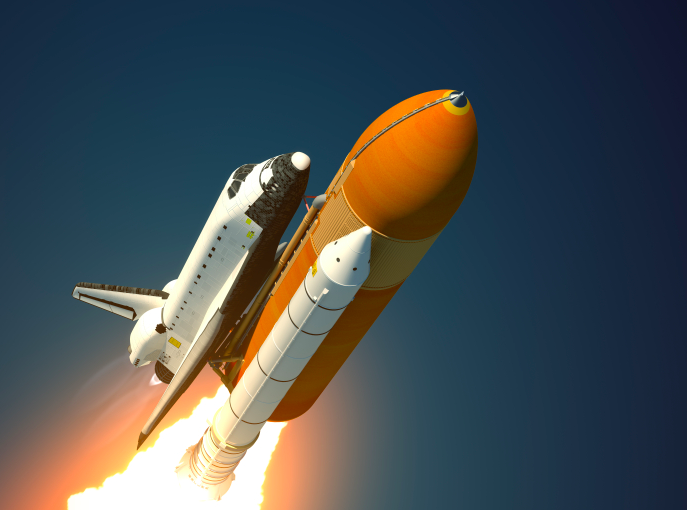 NASA is committed to a manned mission to Mars at some point in the future, and any long duration space mission would benefit from having fresh food. There are considerations: It is unlikely that astronauts could become self-sufficient due to space and resource requirements for this space agriculture, and as shown yesterday care must be taken to thoroughly clean any produce because in microgravity human associated microbes and waste can form biofilms on literally any surface. However, as a valuable food supplement there are obvious benefits, not least because in space where exposure to radiation is greater than on earth, any dietary intake of green vegetables that are usually high in antioxidants, could have long term health benefits. 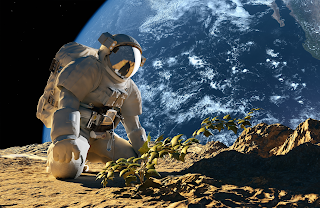 There is also a strong sense among space psychologists that tending a living garden could be very therapeutic to astronauts on long missions. The next step is to grow flowers on the ISS. This may seem at first glance like a trivial task, but establishing whether pollination can occur for flowering plants in space is the next step towards growing a wider variety of space food – perhaps one day including fruits!